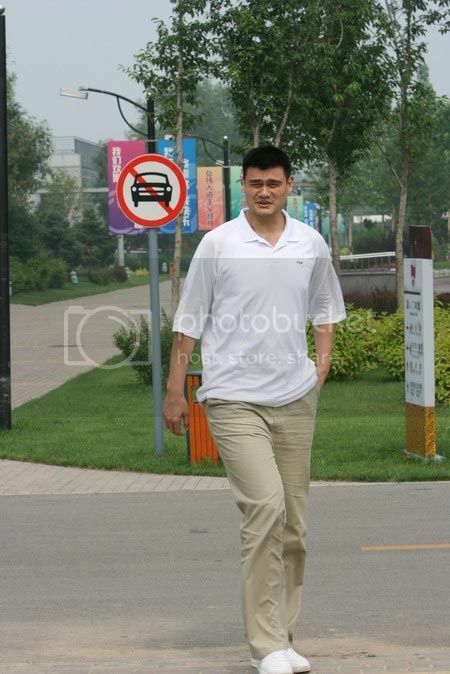 After his activities in Jiuquan City of Gansu Province, Yao Ming left for Xian City of Shaanxi Province in the afternoon of June 10th. 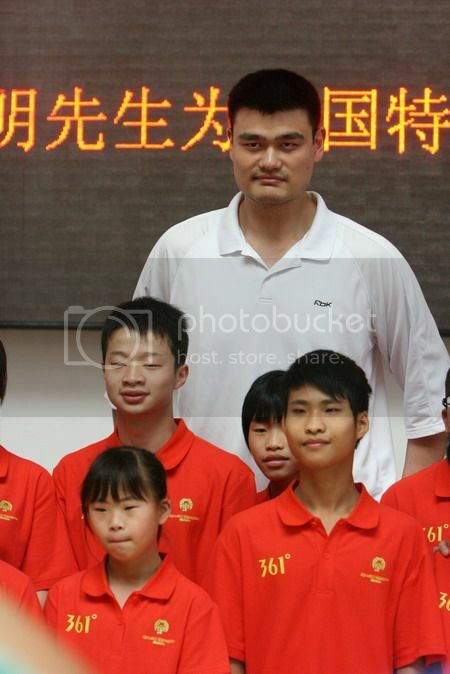 He was seen today (June 12th) in the International Horticultural Exposition 2011 Xian, which is currently in progress there in Xian from 28 April, 2011, until 22 October, 2011. He was there to kick off a marketing campaign named "Green China ! Green Life !" for China Life Insurance in his capacity as China Life's Global Ambassador and Image Spokesperson. The marketing campaign of "Green China ! Green Life !" is to advocate and promote conservation of energy, environmental protetion, and leading a low carbon lifestyle, which is in response to the theme of the International Horticultural Exposition 2011 Xian: Eternal peace & harmony between nature & mankind, nurturing the future earth. He first helped tour some of selected orphans from Xian in the EXPO, and then joined management of China Life to kick off the Green China ! Green Life ! customer week activity, watched some of shows which included street basketball and Tang Dynasty dance, and took pcitures with some of the lucky fans, and exchanged souvenirs with China Life's management. Here are some high-resolution photos from today's activity. 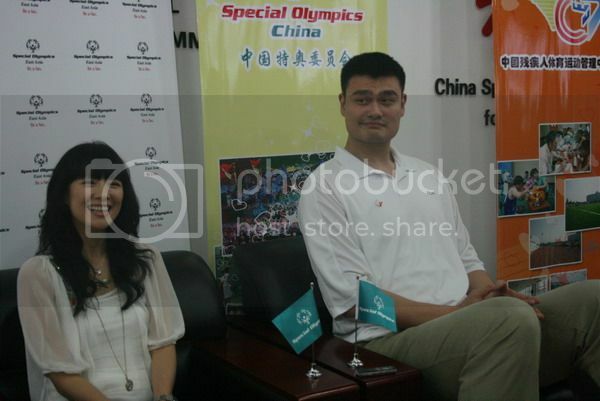 Today (June 19), in their capacity as Global Ambassadors for Special Olympics, Yao Ming and Zhang Ziyi visited China Administration of Sport for Persons with Disabilities in Beijing for a mobilization/send-off ceremony, as the China delegation is to leave for Athens in a the next days or so to participate in the 2011 Special Olympics. Here are photos during the ceremony. Last edited by pryuen on Tue Jun 21, 2011 7:07 am, edited 1 time in total. 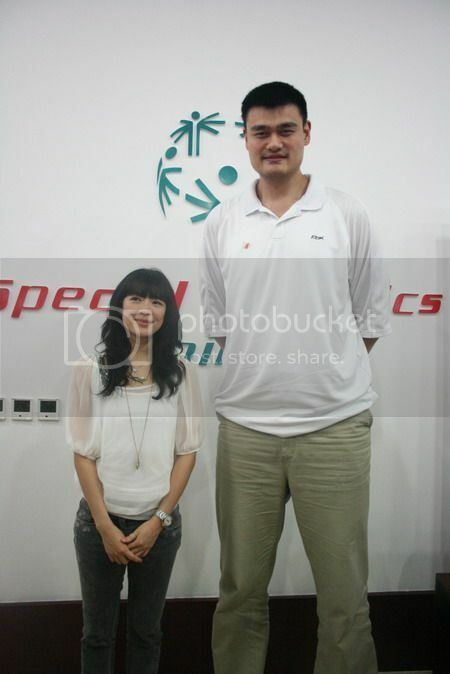 And after the ceremony, Yao Ming and Zhang Ziyi split ways. 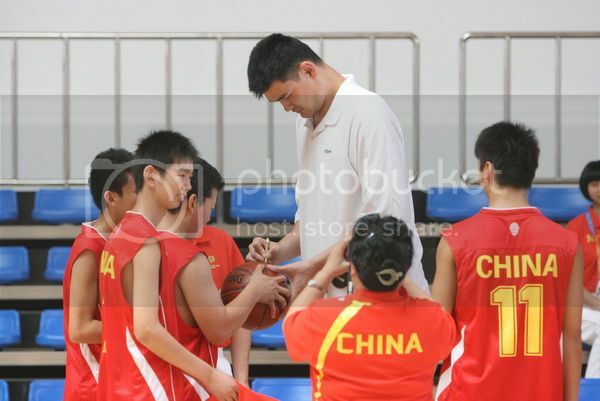 Yao Ming went to meet the basketball team, and then the track & field team; he gave them encouragement, signed autographs, and took photos with them. As for Zhang Ziyi, she went to meet with the gymnastics team, and she learned some of the ribbon routines from the rhythmic gymnasts. 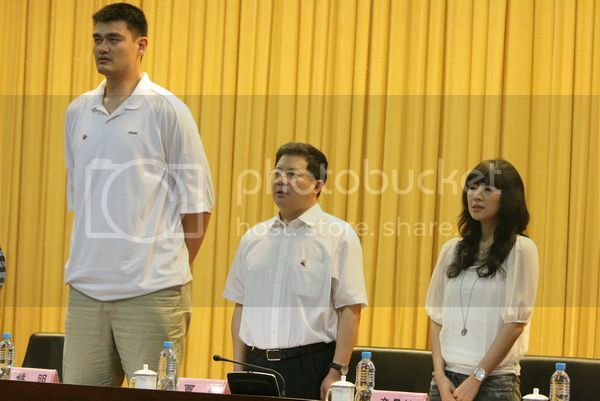 the 2011 Yao Foundation Charity Gala/Game is to be abandoned. 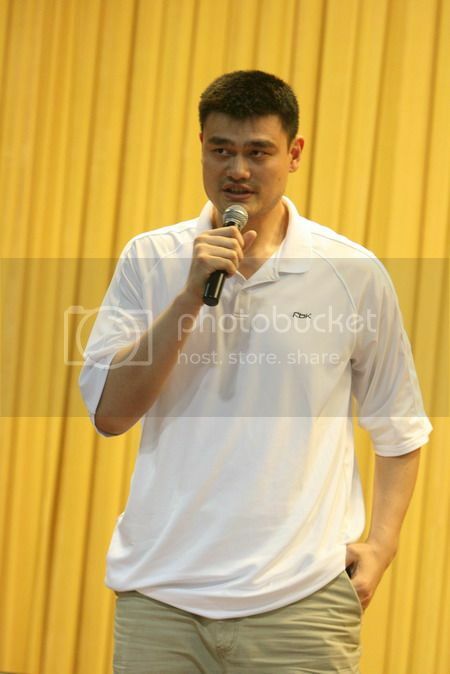 Yao Ming had originally wanted the event to become an annual one. The charity gala/game was supposedly scheduled to be held this year in Shanghai on July 23/24. But in the news released today, according to Erik Zhang Mingji, they had decided to cancel this year's Charity Game/Gala. 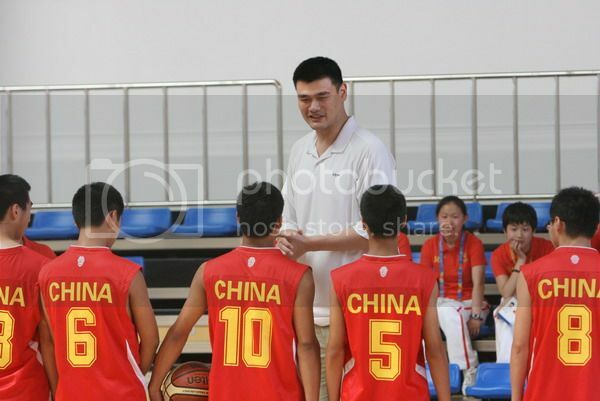 One of the major reasons given by Erik Zhang was about the looming NBA lockout. He told the reporters: "At present, according to our understanding of the situation, there will likely be a players' strike/lockout in NBA right after June 30; although many players had initially agreed to and are willing to come, once the lockout sets in, there will be no safeguards and protection of their current contracts, meaning if they do come and play and get injured unexpectedly in China, NBA and their employers will not be held responsible. This is what we need to consider and be concerned about." 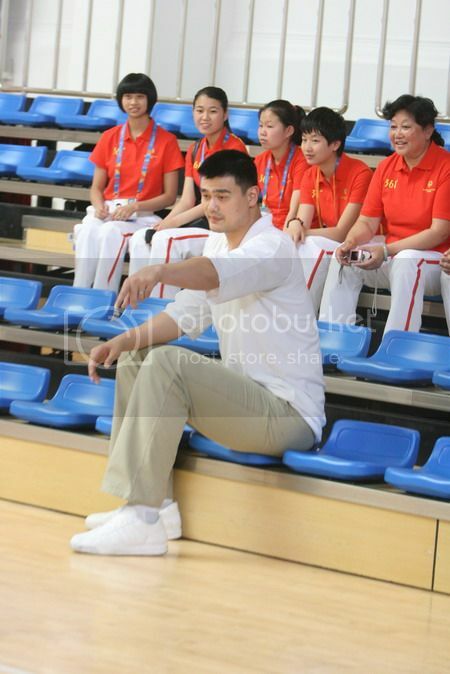 He also added since the 14th FINA World Championships 2011 Shanghai (July 16 ~ 31) will be held during the originally planned period and the China men's basketball national team is busily preparing for the 2011 FIBA Asian Championship (to be held September in Wuhan), therefore given all the above unfavorable factors/considerations, Team Yao had decided to cancel all current preparation for the Charity Game/Gala. This happened Monday (June 20). 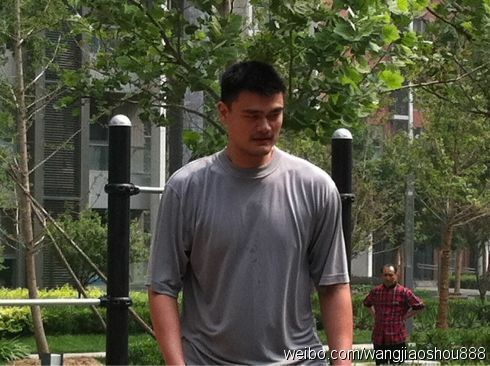 Yao Ming was invited to do a promotional film shooting for China National Fitness Day, which will fall on August 8, the date marking the opening of the 2008 Beijing Olympics. August 8 had been designated as China's National Fitness Day since 2009. On that date, all public sports facilities will open for free and activities and campaigns emphasizing fitness will be held across China. 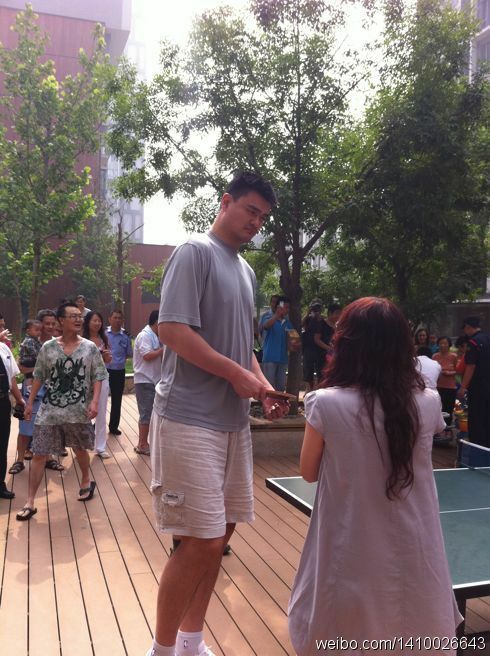 He visited a small community in Beijing, and in the promotional film, he had a table-tennis friendly with a 6-year-old. And he lost BADLY to the kid, as he is just TOO DAMN TALL for the sports !!! Last edited by pryuen on Wed Jun 22, 2011 5:27 pm, edited 1 time in total. 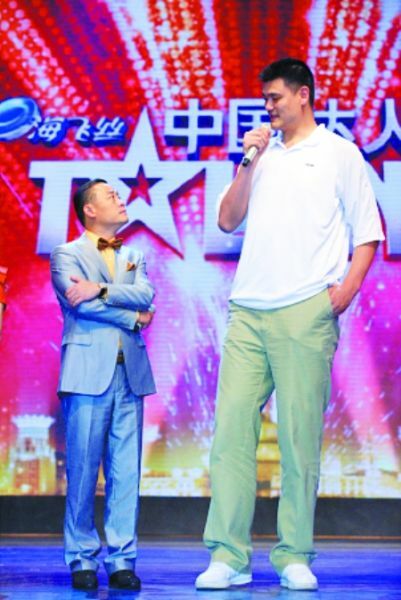 And on Sunday and Monday, for a change, Yao Ming was in People's Great Hall for taping the semi-final of the China's Got Talent (Season 2) 中国达人秀 for Shanghai Oriental TV of Shanghai Media Group, which was a licensed spin-off show of Britain's Got Talent. He was invited to be a special observer for the semifinal, representing views and comments from the audience. He told the 16 semi-finalists that if they're not satisfied with the standards or how they're being evaluated/scored by the judging panel, they could file complaints to him, and he is authorized to fire the judges. He was joined in the show with some of his old friends: Shanghainese stand-up comedian Zhou Libo and Yang Lan who sat on the judging panels; both had invited Yao Ming for interviews on their TV shows in the past. And they had fun !!! Susan Boyle will perform with Chinese talents at the final of the second season of China's Got Talent on July 10 at the Shanghai Stadium, officials said yesterday. The Britain's Got Talent star is expected to sing classic songs for the local audience. She will reveal more details about her collaborations with local talents in Shanghai in early July, said organizers. Meanwhile, Chinese media celebrity Yang Lan replaced Jerry Huang, who is currently on his honeymoon, as a judge for the semifinal of the competition, recorded yesterday at the Great Hall of the People in Beijing. Beforehand, Yang said she would judge as a woman, a media critic and an ordinary audience member. However, it has not been decided whether Yang will replace Huang for the final. 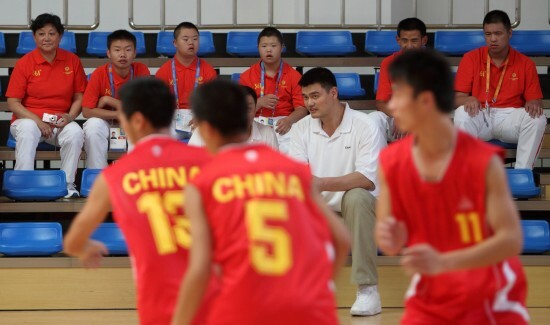 Basketball star Yao Ming was invited to be a special observer for the semifinal, representing views and comments from the audience. 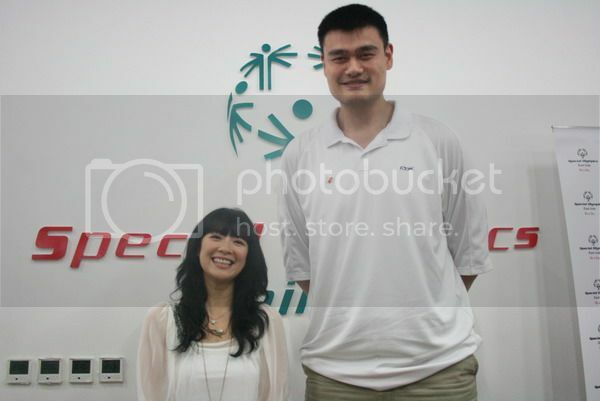 "My wife and my mother-in-law are big fans of the show," Yao said. "The talents displayed by the contestants are exciting and inspiring." Scottish singer Boyle shot to fame as a contestant on Britain's Got Talent in 2009, singing "I Dreamed a Dream" from Les Miserables. The Internet is SO POWERFUL !!! 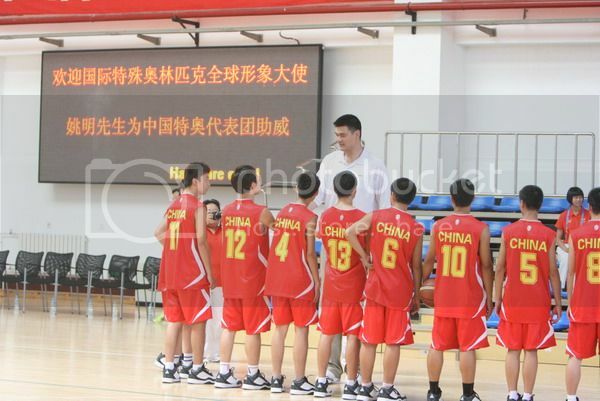 I guess there were not too many press/media reporters were aware of this activity of Yao Ming taking a promotional film for China's National Fitness Day on Monday. 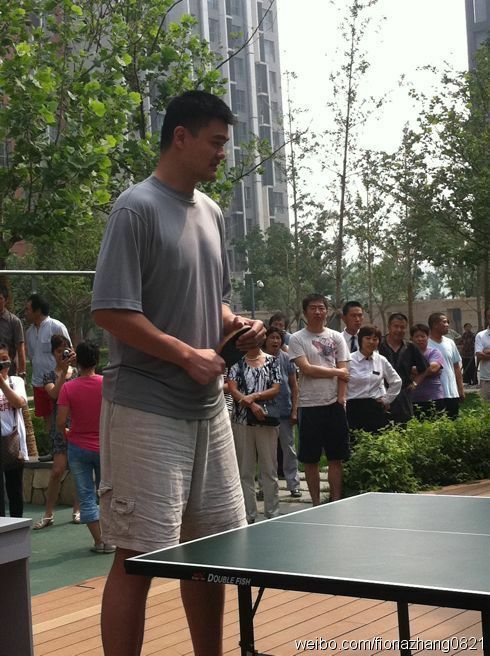 But somehow quite alot of residents in the small community had witnessed the activity and posted onto sina micro-bloming website (weibo.com) photos they took of the table-tennis game. 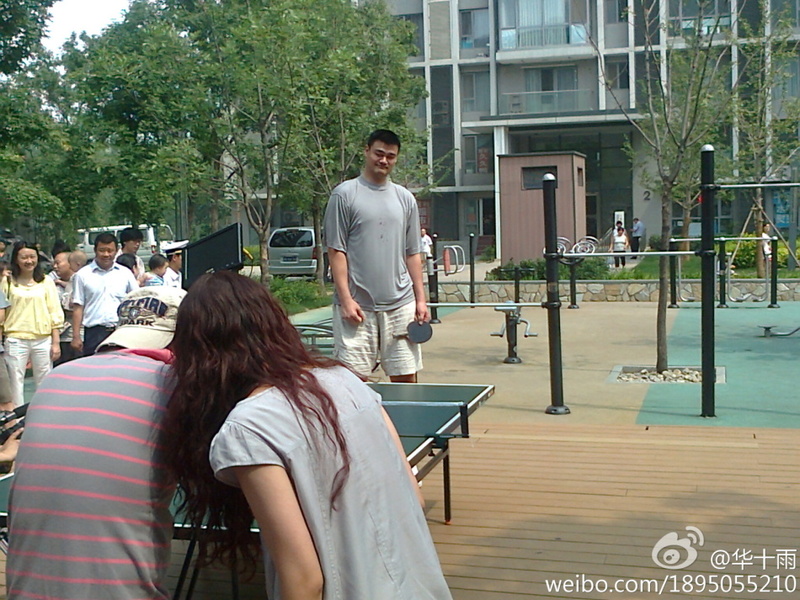 SO.............. MORE PHOTOS OF BIG YAO IN THAT TABLE-TENNIS GAME !!! 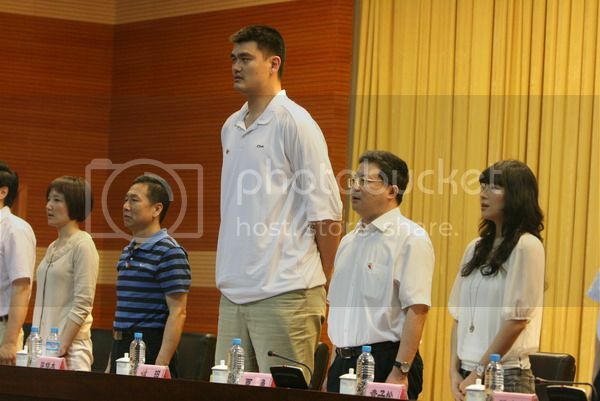 Yao Ming is now in Athens. He arrived Athens on June 23rd (Athens local time). And this morning (June 25th), Yao Ming and another Global Ambassador of Special Olympics , his former Rockets team mate Dikembe Mutombo re-visited the the Olympic Athletic Center of Athens "Spiros Louis" or OAKA in Greek (OAKA was the main venue/complex for the Athens Olympic Games in 2004, and also where basketball were played) to meet/greet participating basketball teams from all over the world, and specially commended the coaches of these basketball coaches for persons with disabilities. Right after that, Big Yao and Uncle Mutombo sort of relived their good old time, had an one-on-one offensive and defensive drill between them, as well as competing on their free throws and 3-pointers. Mutombo is a mutant that doesn't age.